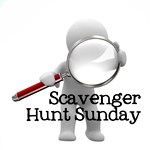 Welcome back to Scavenger Hunt Sunday and Happy 4th of July. We’ve had a busy week of playing and vacationing. Right now, we’re on our way back from a long weekend at the lake. We had such a great time, but it’s always nice to go home. Anyways, if you didn’t participate this week in my scavenger hunt, but want to participate next week…next week’s list is an Ashley original. Enjoy! The other day, we were picking a few things up from Walmart. Felicity spotted “Minnie Mouse” off in the distance and wouldn’t stop saying “MinMow” until this little outfit was in our cart. I’m not really a fan of character outfits, but man…it makes this little girl happy. On Tuesday, I drove to Tarboro to photograph my friend’s new dental practice. Dr. Gray Bailey, D.M.D., P.A. of Tarboro Family Dentistry is now open for business. 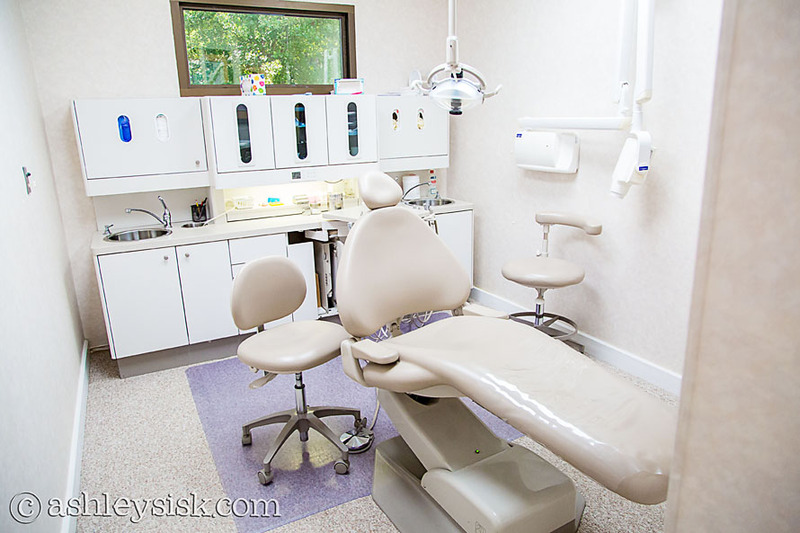 This particular room is nice and WHITE…and his staff is so friendly, you’ll forget you’re having your teeth cleaned. I’m hoping to post a few more photos from my visit later in the week. 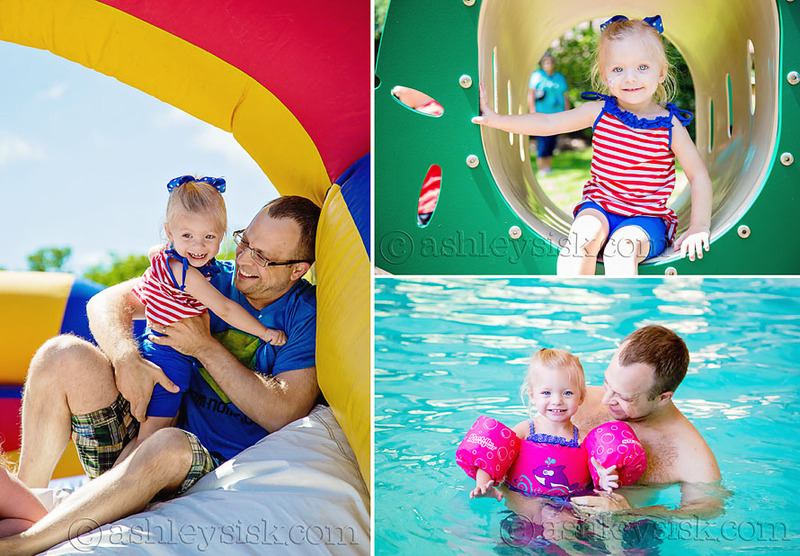 On Wednesday, we met up with Michelle and Maddie to take some “4th of July” photos. Felicity was much more interest in playing, but we did manage to work a few shots out of her. I love this one. The past few days, we’ve played HARD. On Friday, the resort we’ve been staying at hosted all these activities for families to enjoy. She wasn’t too thrilled to be on the big bouncy houses, but Felicity’s daddy took her down one time. Then we played at the playground…and then played at the pool. I’m actually writing today’s scavenger hunt as they are back at the pool. Good times. Fireworks are incredibly hard for me to photograph. I’ve been trying for years to get it right. 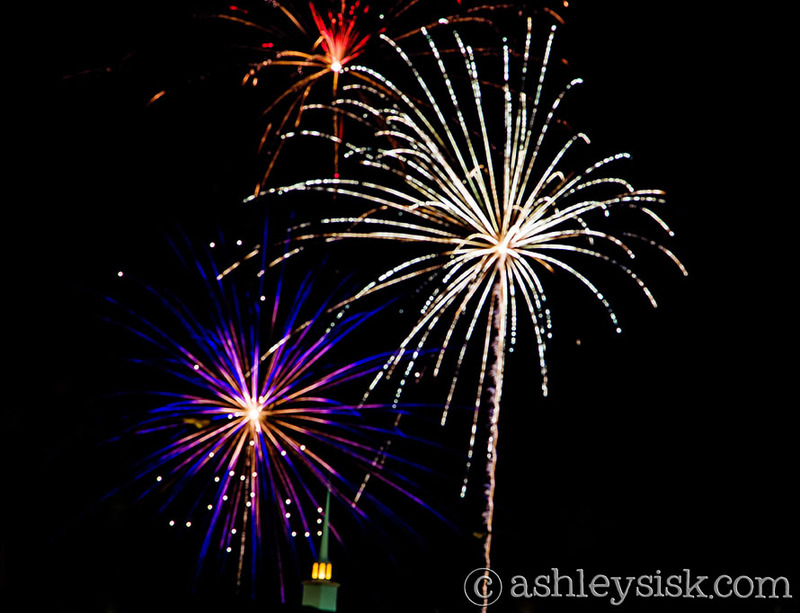 This year, I came armed with my tripod, remote and this tutorial on how to photograph fireworks. The fireworks were coming so fast and so many at a time, that most of my shots look like a ball of goo…but this one is alright. It sparkles.